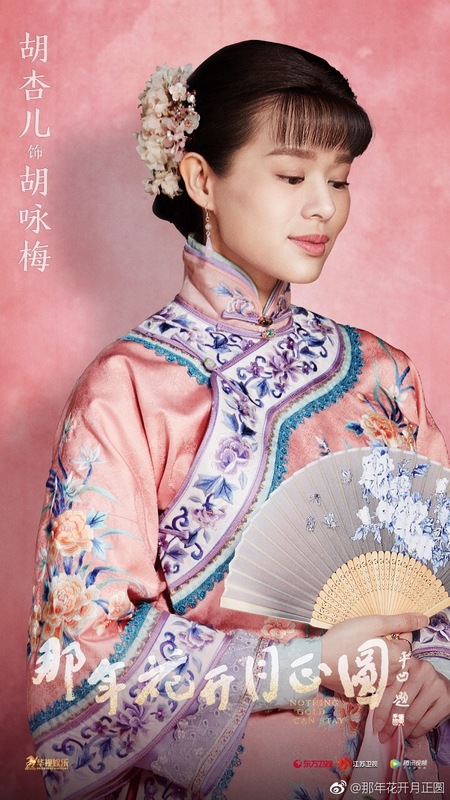 Nothing Gold Can Stay 那年花开月正圆 has released a set of character posters to introduce the major players in the upcoming drama that follows the life of the richest woman in Shanxi. This is not a story about palace schemes and catfights but a story about a woman who dares to dream big and expand her business offshore. Some character descriptions wouldn't make sense if I leave out the details so just a heads up that there will be spoilers. Sun Li plays Zhou Ying, a brilliant woman beyond her time. Relying on street smarts and strong instincts, she is accepted as a woman apprentice in the Wu Family to learn the ropes of doing business. 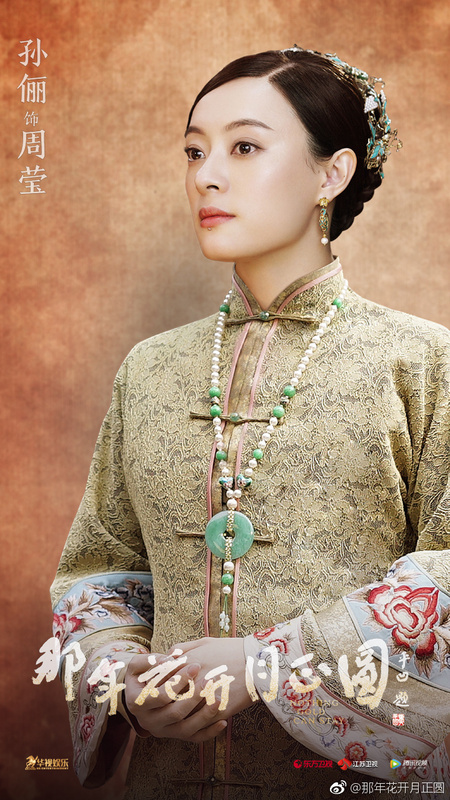 She becomes the esteemed head of the household after her husband Wu Pin dies an early death and she has had to depend on herself to support and grow a failing business. She is practical, insightful and bold, and the choices that she makes play a crucial role in her road to success. She is immensely loyal to her love and chooses to remain alone throughout her lifetime in order to protect it. 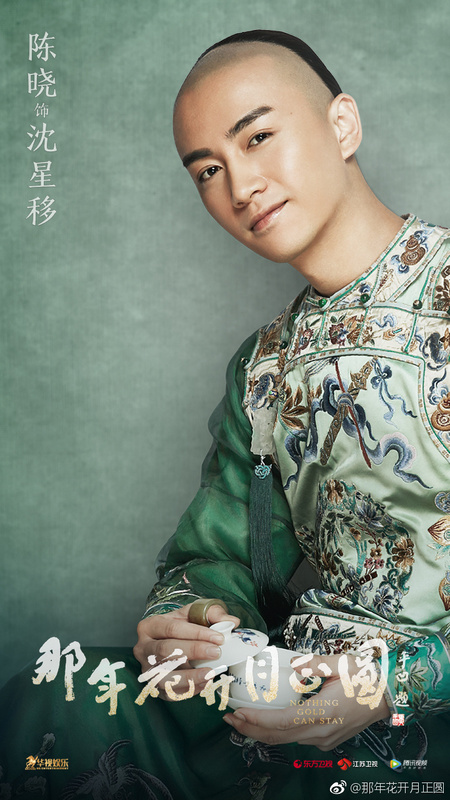 Chen Xiao plays Shen Xing Yi, the typical rich boy who grows up spoiled and entitled. He loves the limelight but deep inside is a simple man with a kind heart. Through his interactions with Zhou Ying, he matures into a passionate young man with a sense of purpose. His relationship with Zhou Ying is not without hints of romance and he is also a formidable player in the business world. Peter Ho plays Wu Pin, the young master of the Wu Family who will eventually marry Zhou Ying. 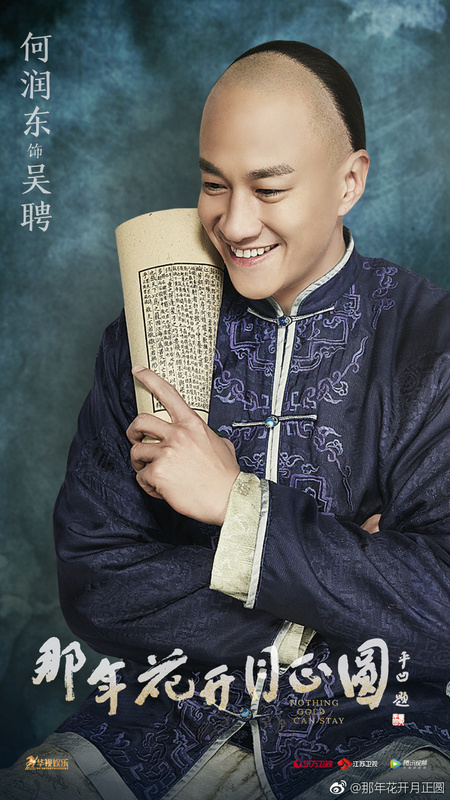 He is the opposite of Shen Xing Yi in terms of personality as he is scholarly, gentle and refined. 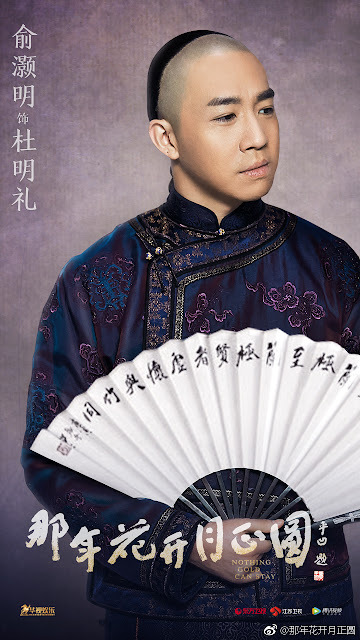 Ren Zhong plays Zhao Bai Shi, the county magistrate of Jing Yang who loves his citizens dearly. Myolie Wu plays Hu Yong Mei, a woman that is educated, talented and beautiful. 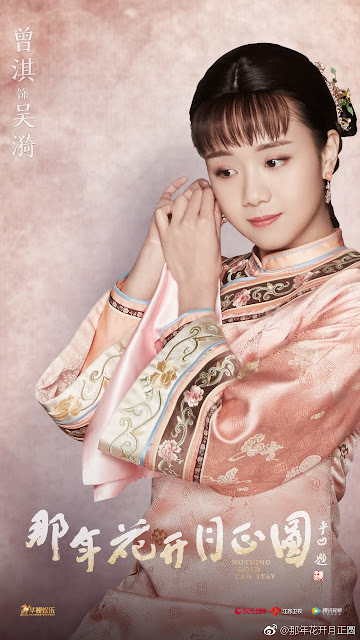 She is a traditional young maiden from a proper family and a childhood friend of Wu Pin who wants nothing more than to marry into his Family. 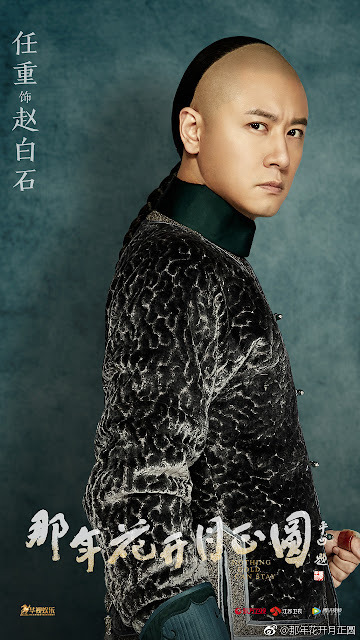 Yu Hao Ming plays Du Ming Li, a complicated man who seems neither good nor bad and ultimately a little bit of both. He is a conflicted character who becomes the way that he is because of his life experiences. Zeng Qi plays Wu Yi, the young miss of the Wu Family who aspires for freedom and equality even though she does not lack in social status. I guess Peter Ho character will die mid-drama.. I've just realized that Sun Li and Fan Bing Bing are playing almost the same type of strong businesswoman in their upcoming dramas. lol your comment cracked me up. She just might! And the guy who is neither good nor bad is most likely just bad too..